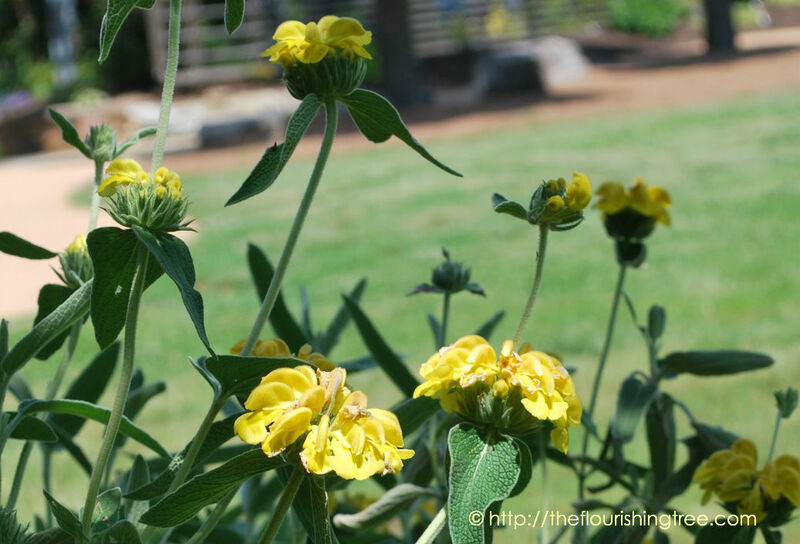 Jerusalem sage … or Dr. Seuss trees? 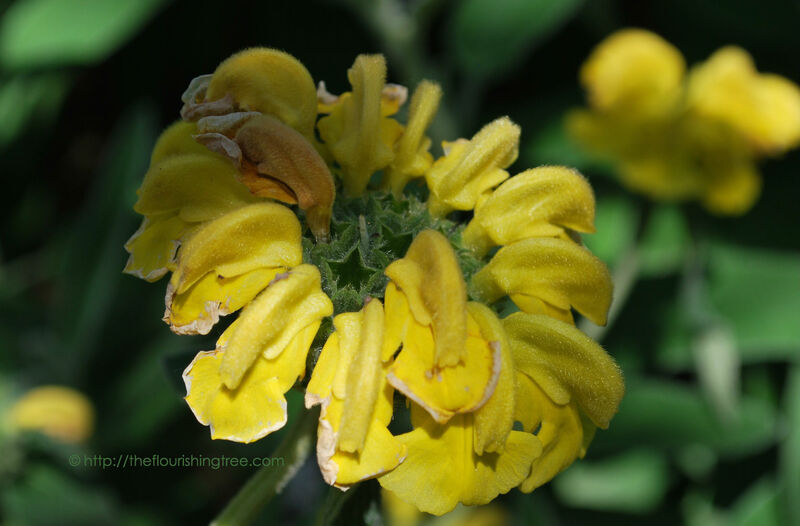 Let me introduce you to Jerusalem sage. The flowers remind me of Dr Suess [sic] trees. Yes, that’s it exactly: Dr. Seuss trees. I love God’s imagination and am especially reminded of it when I come across a plant like this. Dr. Seuss’ brilliant imagination gave us creatures such as the Lorax and their trees. (For a great story of how Dr. Seuss first got published see Seussville.com—it’s hard to imagine publisher after publisher turning away this kind of inspired mind.) I do wonder if Dr. Seuss ever saw these flowers and if they inspired some of his creations. Do you think these flowers inspired any of Dr. Seuss’ trees? 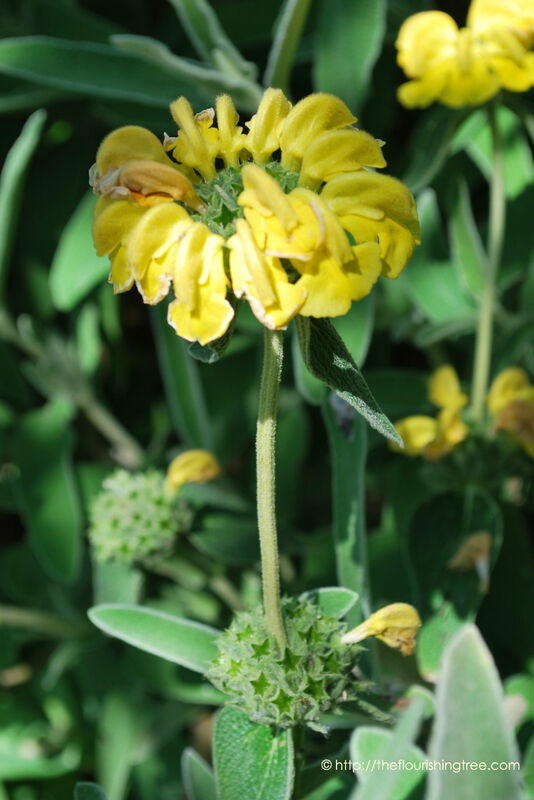 The Jerusalem sage originated in the Mediterranean (which appears to be its only connection to Jerusalem) and is otherwise known as Phlomis fruticosa. It hasn’t caught only my eye; the Royal Horticulture Society has given it the Award of Garden Merit. It blooms in interesting whorls, but the spent pods’ star-shaped pockets grabbed my attention beyond the blooms themselves. Very cool. Look closely, and you’ll see that the old bloom has a new stem encompassed in it. From the new stem, a new bloom appears. 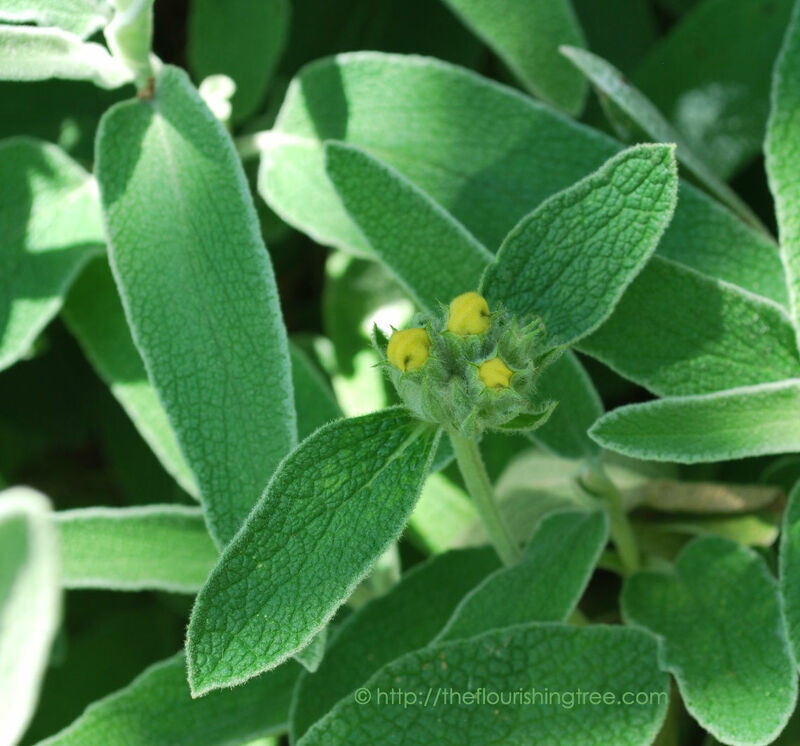 There’s a gray tinge to the foliage, and despite the name, the Jerusalem sage is not part of the sage family but instead a type of mint. The fact that it’s drought tolerant and grows well in a variety of well-draining soils makes me want to add a few to my garden. I also like that it is deer resistant, too. I wouldn’t mind attracting fewer furry, hungry visitors. 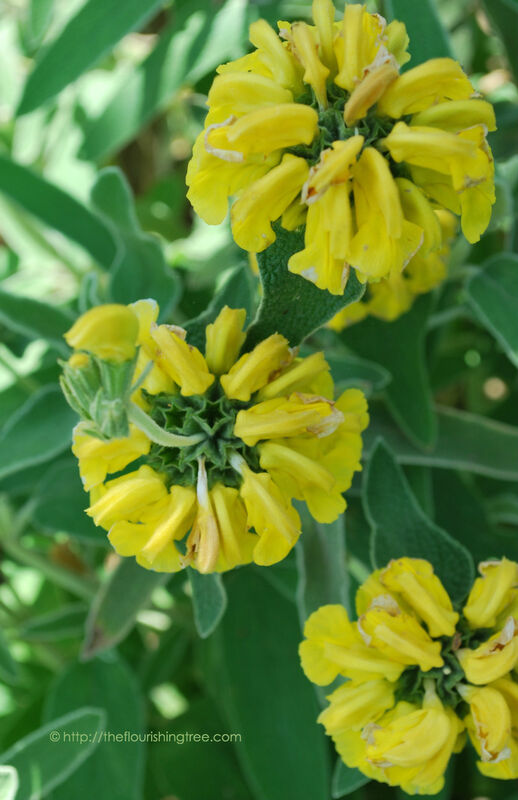 What do you think of the Jerusalem sage? Does it remind you, too, of Dr. Seuss trees? Do you have it growing in your garden? Any tips for caring for it or suggestions of what to plant with it? 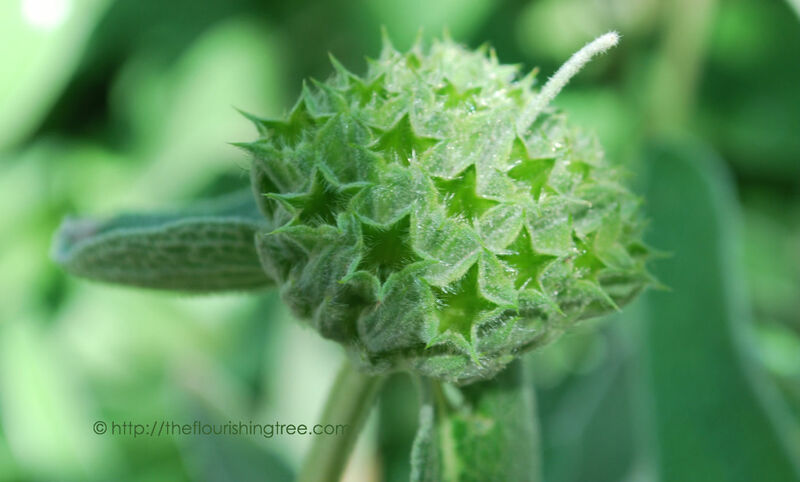 I’d love to hear your thoughts on this intriguing plant. 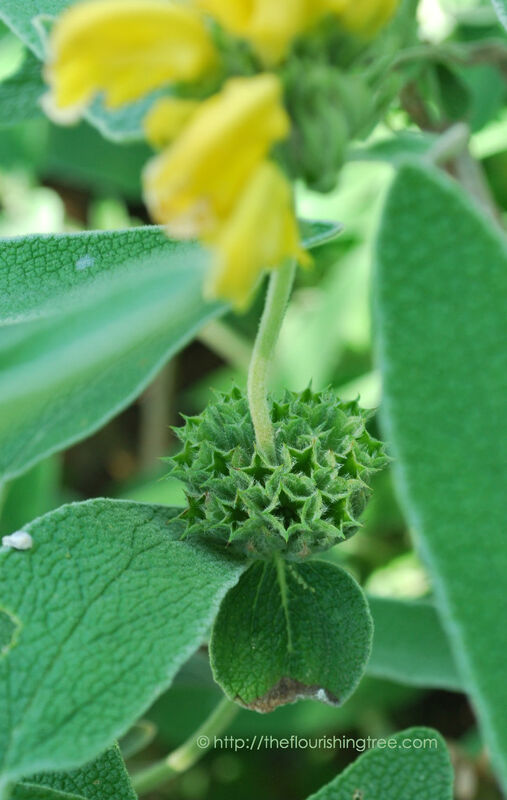 This entry was posted in flourishing tree and tagged deer-resistant plants, Dr. Seuss, Dr. Seuss trees, garden, Jerusalem sage, Phlomis fruticosa, plant whorls, unique plants, yellow flowers by hopesquires. Bookmark the permalink. I love it!! Thank you for introducing me to this very unique plant! I’m definitely going to add it to our garden. I did some research, too, but couldn’t find conclusive evidence on if you can use it in cooking… seems to be mixed reviews. Any thoughts? Jackie — after a quick search online, I’m going to say it’s not edible. I’m skeptical of those who say they use it as a replacement for other sages as the “sage” here is in name only. My search also turned up the possibility of a second plant called Jerusalem sage that is edible, and so I caution that online recipe sites may be using a completely different plant. It’s best to ask a local expert (arboretum or trusted nursery) their thoughts on its edibility.